Spring is here! It’s sunny and beautiful one day and then drizzly and cloudy the next. It doesn’t bother me; I love the weather variation. I particularly like days like today that make me want to sit down with a cup of coffee and connect with you for a while. I figure it’s about time that I share a version of what I eat for breakfast almost every day. It’s all about the eggs for me. Scrambled almost every time. But not the fluffy, tender, delicate kind of scrambled eggs that some chefs aspire to perfect. I’m a down and dirty, get the eggs on my plate and don’t use an extra bowl to scramble them, kind of girl. Seriously. Since discovering a Paleo lifestyle, my breakfast has been surprisingly consistent. Really, scary consistent even. 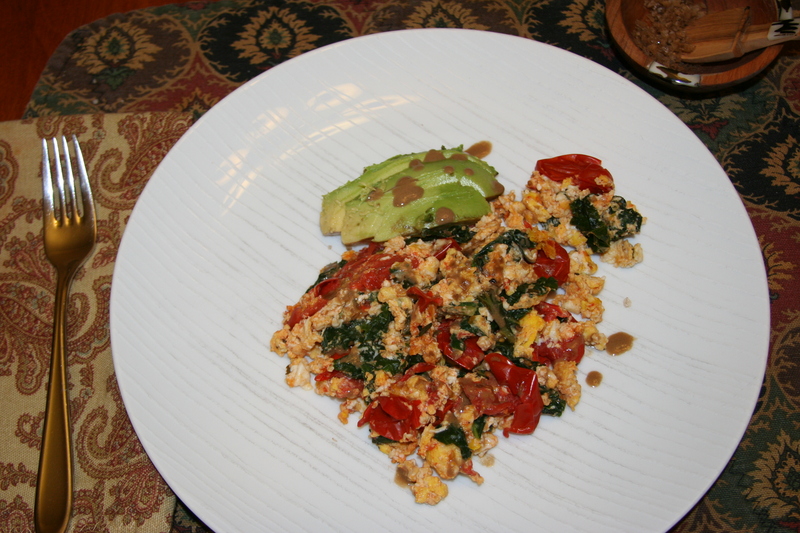 No matter where my head (or stomach) is, I really like to have eggs and veggies on my plate in the morning. It means I have to cook and do dishes every day, which is probably why I just scramble my eggs in the pan, but it’s totally worth it because I feel fueled, happy, and satisfied. I’m not sure how I got that habit nailed down. I really wish I could remember the beginning because it might help with a few other habits I’d like to put in place, but I’m typically someone who likes variety in my meals. 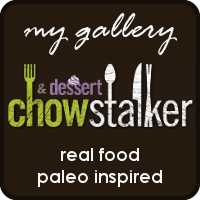 So much so, in fact, that before starting this blog, my husband would joke about how even when we loved something, it was unlikely to make it back on the menu because I would be off chasing a new recipe. For whatever reason, eggs don’t fall into that category. I never get bored with my eggs. It might be because I mix up the flavors and veggies all. the. time. This particular variation came about for a number of reasons and it’s just unusual enough, and delicious enough, that I felt like it should be shared. Many people might think that cucumber for breakfast is strange to begin with. And maybe it is, in which case, eat it for lunch or a snack. For me there are some days when I feel like something cold rather than hot and this works perfectly. 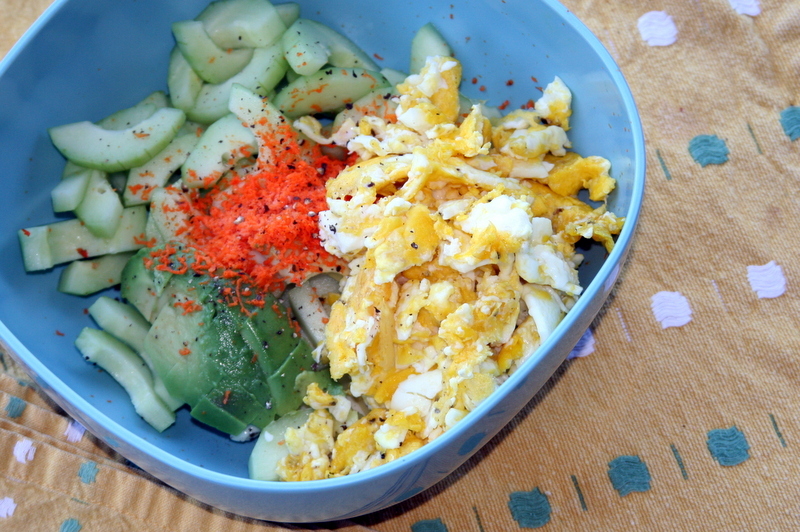 People might also think mixing scrambled eggs with cucumber is weird. I guess it could be. So try hard boiled eggs. Or try the scrambled and fall in love like I did. I have a whole other post waiting that talks about all the benefits of turmeric, which I’ll get out there soon. It’s an amazing root, fresh or dried. One quality it has is as an anti-inflammatory and I hurt my back this past weekend so I wanted to do a few things to help out the healing process. I’m pretty active and being sidelined is hard on my body and my psyche. Especially because I’ve been emotionally off-kilter for a while anyway and it’s had a definite effect on my overall health and well-being. I was excited to get back into the swing of things only to be knocked down. Ugh. But then I started looking for inspiration in some different places and cooking is good for me like that. This breakfast has a number of things going for it. Hydration and cleansing with the cucumber. Anti-inflammatory with the turmeric. Protein and happiness with the eggs. I also grabbed some fresh chives from the garden (bliss!) and if you have some of those, go for it! They definitely added a lovely dimension. Anyway, this recipe (if I can even call it that) is crunchy, creamy, hot and cold with an earthiness that comes from the turmeric. I recently found that my local stores have begun stocking the root near the ginger. It’s great! I toss the little knobs into the freezer and when I want some, I just use a microplane and grate it over whatever is calling for it. You could easily sub in the dried powder form. I’d start with an 1/8-1/4 of a teaspoon and go from there. Dried can vary a lot in potency depending on its freshness. And be sure to crack some fresh pepper over it. Research says the pepper helps the body absorb the turmeric even better. Let me know if you try this. 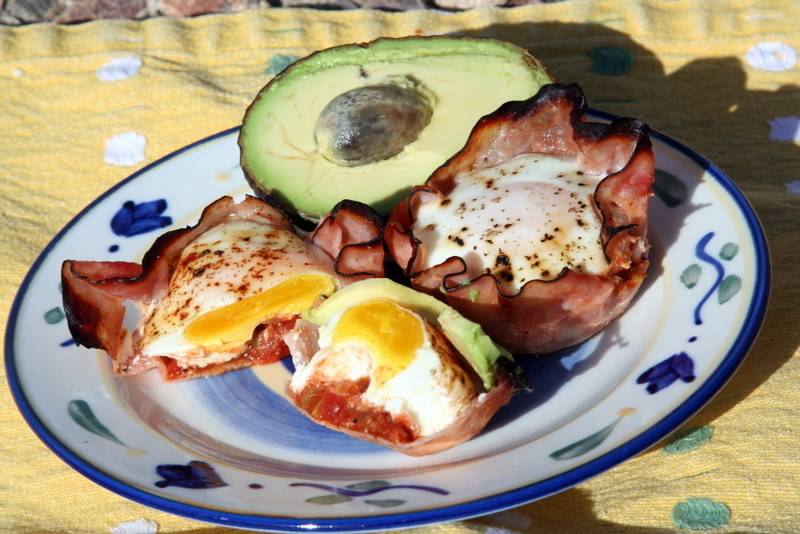 If you’re getting tired of the same old eggs, this just might reinvigorate your morning! Melt the coconut oil in a small sauté pan. Scramble eggs to your preferred doneness. Place in a bowl. Peel and seed cucumber, if necessary or desired. Cut the cucumber lengthwise down the middle. Then cut each long half lengthwise again. Slice thinly into small 1/4 moons. Add to the bowl. Add the mayonnaise, turmeric, and a good pinch of salt and pepper. Stir everything until it is well distributed. Add the avocado and chives, if using, and stir gently to combine all the ingredients. Hard boiled eggs are little protein packed miracles, if you ask me. They are delicious on their own, portable, easily made in advance, and happy to be dressed up or down depending on the occasion. I love having them on hand for meals or snacks or for a protein boost in a salad. They make a great appetizer or nibble if you have a bunch of people coming over. Really, when you get down to it, hard boiled eggs are simply amazing. Since I make them so frequently, I thought I’d share one of the ways I like to stuff them. I was making tuna salad the other day and adding some chopped egg when I decided I wanted to try reversing the idea. Instead of egg in my tuna, how about tuna in my egg? It worked beautifully and made for a nice change at lunch. Pair these eggs with a bunch of fresh veggies or a lovely salad and you have a satisfying meal. Or pack a couple for after a heavy weight workout and your muscles will be thrilled. 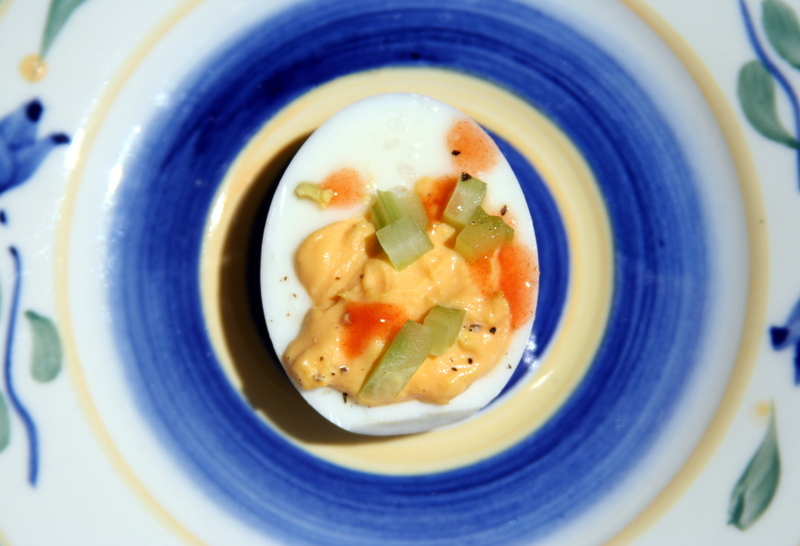 Be sure to let me know how you like your deviled eggs in the comments. There are so many fun variations, I love to hear about them all! 1) Drain tuna and place in a medium bowl. Add mayonnaise, mustard, capers, scallions, and pepper to taste. Mix gently but thoroughly. 2) Cut hard boiled eggs in half lengthwise. 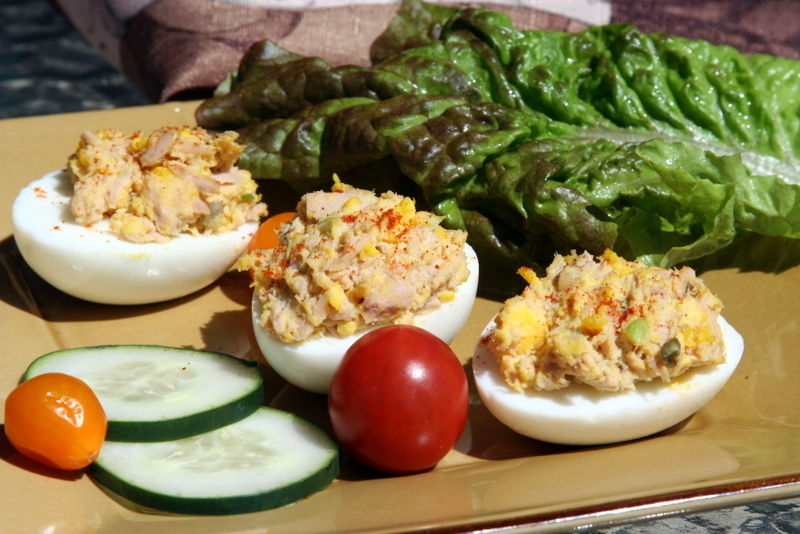 Pop out the yolks and add them to the tuna. Break up and mix together. 3) Sprinkle a little salt over the cut side of the eggs. Fill each cavity with the tuna mixture. These can be filled quite full since the tuna adds volume to the mix. 4) Dust with paprika and eat! This is my comfort food. There is something incredibly soul-satisfying about a bowl of simple noodles, or in this case, zoodles. They are perfect for any time of day – even if you think you don’t have enough time. Trust me! It’s remarkable just how quickly these come together. In fact, I make them all the time for breakfast, but they’re delicious and wonderful at any time. They even make a great snack! If you have more than ten minutes, it’s great to let the salted zucchini noodles sweat out some of their moisture, but if you only have five minutes, don’t let that stop you from making these. There will be a little extra moisture to cook off, but they’ll still taste great! These are incredibly versatile too – add a dollop of pesto, throw in some chopped herbs, add sliced sundried tomatoes…lots of options. I’ll get around to trying a bunch of variations one day, but for now, I just keep making these. Simple. 1) Julienne a zucchini either with a spiral slicer (like this) or a julienne peeler. Place the zoodles in a colander and salt generously, a teaspoon or two. Let rest for as long as you have, but even 5 minutes will help draw out some moisture. 2) Preheat a sauté pan over medium heat and add olive oil, red pepper flakes, and crushed garlic. Allow to sizzle for a minute and become fragrant but not brown. 3) Rinse zucchini noodles thoroughly and add to the pan. Toss with the seasoned oil for about 3-5 minutes. When nearly done to your liking, they should still have a bit of bite to them, push them to the side and crack two eggs into the pan. Allow to cook a minute or two, crack some pepper over the eggs and zucchini, and begin to scramble the eggs in their half of the pan. When they are close to done, mix them thoroughly with the zucchini noodles and finish cooking. 4) Pour onto a plate or in a bowl, slice some avocado on the side, taste to adjust seasoning, and take a break from your busy day with these simple noodles. 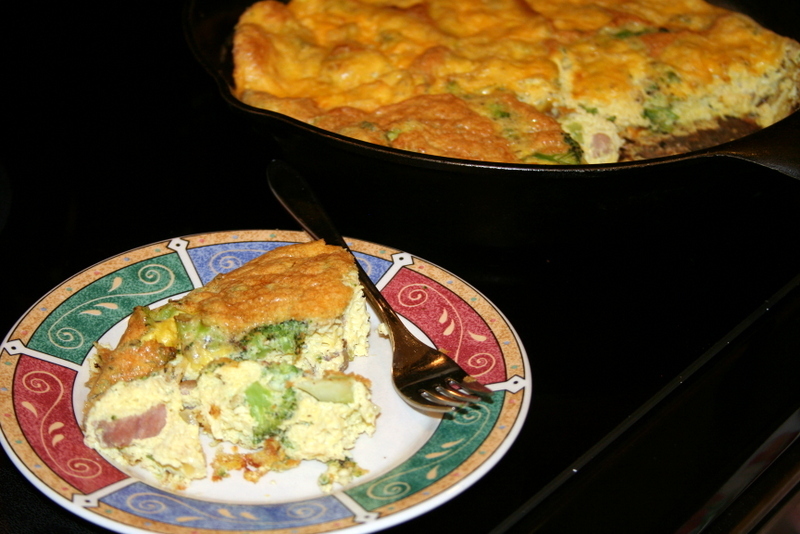 A frittata is simply a fancy word (well…Italian word, actually) for an egg-based dish. Call it a baked omelette or a crustless quiche, if you prefer. No matter what you call it, it’s a great way to get some protein and veggies in at any time of day. There are no real set rules for a frittata and, in fact, any recipe is really more of a template than anything else. If dairy is in your life, go ahead and add some cheese. If you want double the meat or a purely veggie dish, go for it. The sky’s the limit. So grab whatever is in the fridge, mix it with some eggs, and dinner will be ready in 30 minutes. I chose ham and broccoli because I had some ham in the fridge and my son likes broccoli. It worked great! Have fun mixing and matching your own favorite ingredients. These keep really well too so you can store the leftovers in the fridge for a snack or post-workout meal or whatever you need throughout the day! 1) Preheat oven to 400 degrees. Melt fat in a skillet over medium to medium-high heat and sauté onion and ham until golden, about 8-9 minutes. I did this in a large cast iron skillet so it could go directly into the oven, but if you don’t have a pan like this, you can just transfer the mixture to a cake pan too. 2) Chop broccoli into bite-sized pieces and add to the ham mixture. 3) In a large bowl, whisk together the eggs, coconut milk, thyme, garlic powder, salt and pepper until frothy. A blender or mixer works great for this. 4) Pour the egg mixture over the ham and put in the oven. Bake for about 20 minutes. It’s done when it is puffy and golden brown. Serve as is or make it fancy with a dollop of paleo mayonnaise or other sauce!